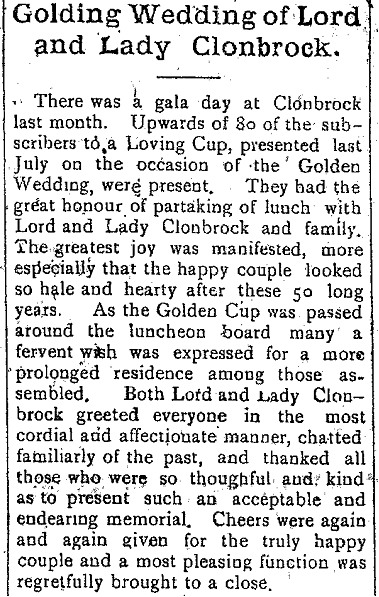 ‘Golden Wedding of Lord and Lady Clonbrock. 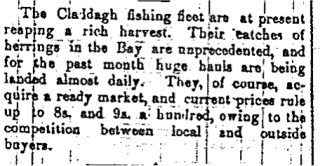 There was a gala day at Clonbrock last month. 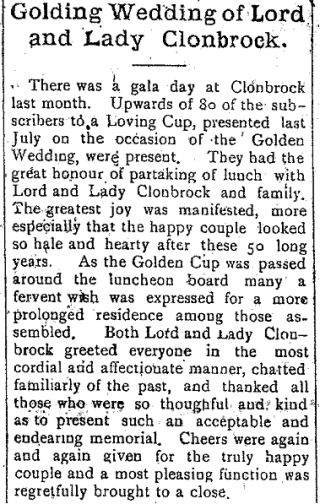 Upwards of 80 of the subscribers to a Loving Cup, presented last July on the occasion of the Golden Wedding, were present. They had the great honour of partaking of lunch with Lord and Lady Clonbrock and family. The greatest joy was manifested, more especially that the happy couple looked so hale and hearty after these 50 long years. 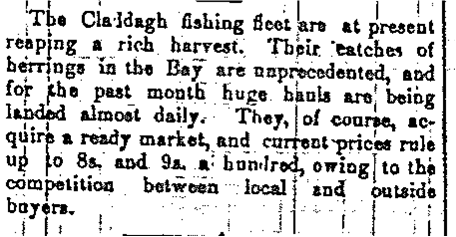 As the Golden Cup was passed around the luncheon board many a fervent wish was expressed for a more prolonged residence amongst those assembled. Both Lord and Lady Clonbrock greeted everyone in the most cordial and affectionate manner, chatted familiarly of the past, and thanked all those who were so thoughtful and kind as to present such an acceptable and endearing memorial. Cheers were again and again for the truly happy couple and a most pleasing function was regretfully brought to a close.